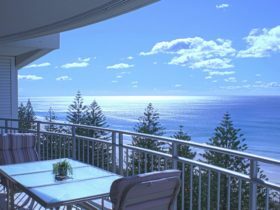 Boulevard North Holiday Apartments fully self-contained one, two and three bedroom apartments are ideally located ocean side at Broadbeach, Gold Coast in a very peaceful location. 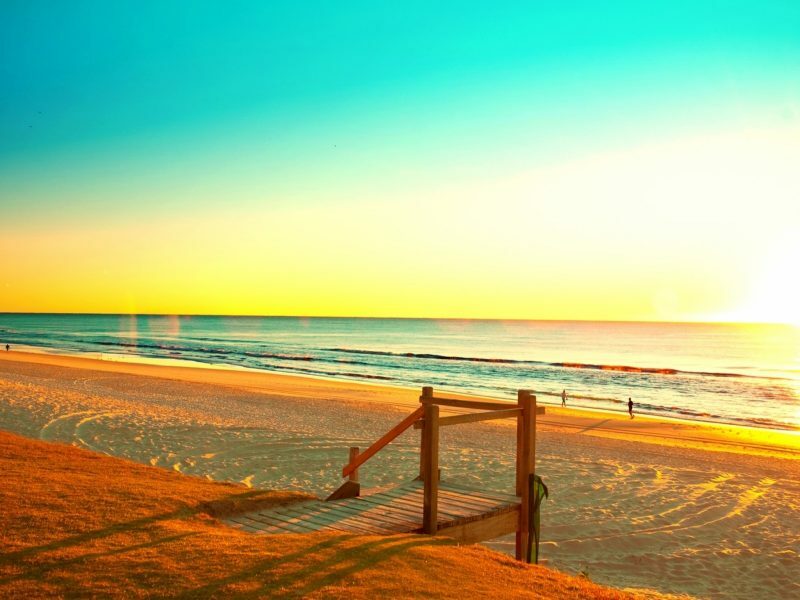 All apartments have sunny balconies and stunning ocean views. 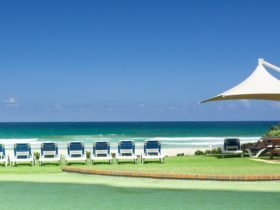 Across the road to a surf patrolled beach and ideally positioned just a short walk to cafes/restaurants, shopping centres, surf and bowls clubs, The Star Casino and Gold Coast Convention Centre and close bus ride to Dreamworld, Seaworld, Movieworld, Wet and Wild and other Gold Coast attractions. 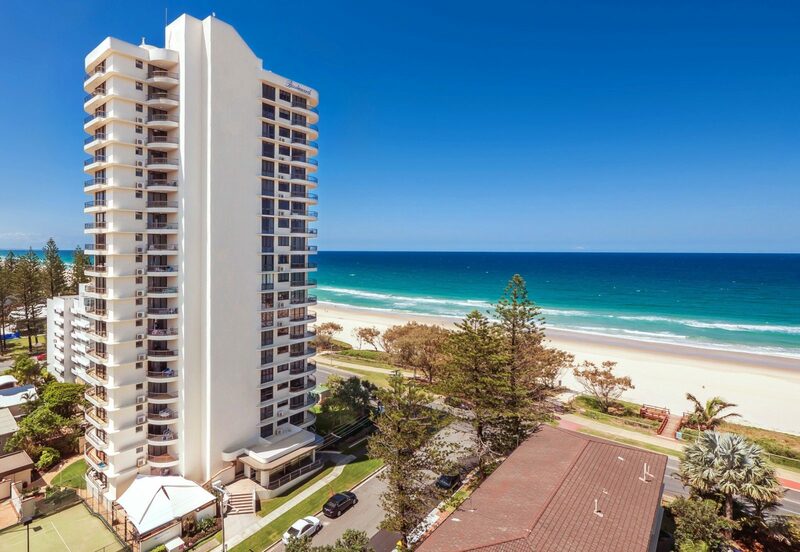 Boulevard North is a short walk from Surfers Paradise. 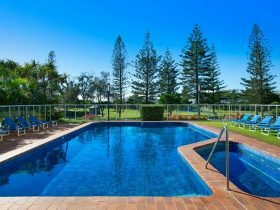 You are invited to laze around their heated outdoor pool, or rejuvenate in the spa or sauna then perhaps play a game of tennis. The barbecue area is an idyllic venue where you can have an alfresco meal to cap off a day filled with leisure and pleasure. Free undercover secure parking, unlimited WIFI and over 1000 latest release movies. Beachfront one bedroom apartment with full kitchen and laundry facilities, sunny balcony and stunning ocean views. Apartments are fully self-contained and are ideal for extended holidays, please enquire on long stay rates. Bedding is one queen bed. One extra person staying AUD35 per night includes fold up bed hire. Cots available AUD35 for stay. Beachfront two bedroom two bathroom apartment with full kitchen and laundry facilities, sunny balcony and stunning ocean views. Bedding is one queen bed with two single beds in a separate bedroom. One extra person staying AUD35 per night includes fold up bed hire. Cots available AUD35 for stay. Beachfront three bedroom two bathroom apartment with full kitchen and laundry facilities, sunny balcony and stunning ocean views. Bedding is one queen bed with two single beds in three separate bedroom. 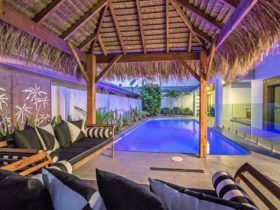 Extra person staying AUD35 per night includes fold up bed hire. Cots available AUD35 for stay. Ground floor – Beachfront two bedroom two bathroom apartment with full kitchen and laundry facilities, sunny balcony and stunning ocean views. Bedding is one queen bed with two single beds in a separate bedroom. The prices vary from the one, two and three bedroom standard or deluxe apartments. Foldaway bed AUD38 a night. Infant cot AUD38 for stay. Tea, coffee, sugar, detergents supplied for start of your stay.